You couldn’t find a more dramatic—or delicious—setting. More Than Forts, Farms, and Fishing Villages. 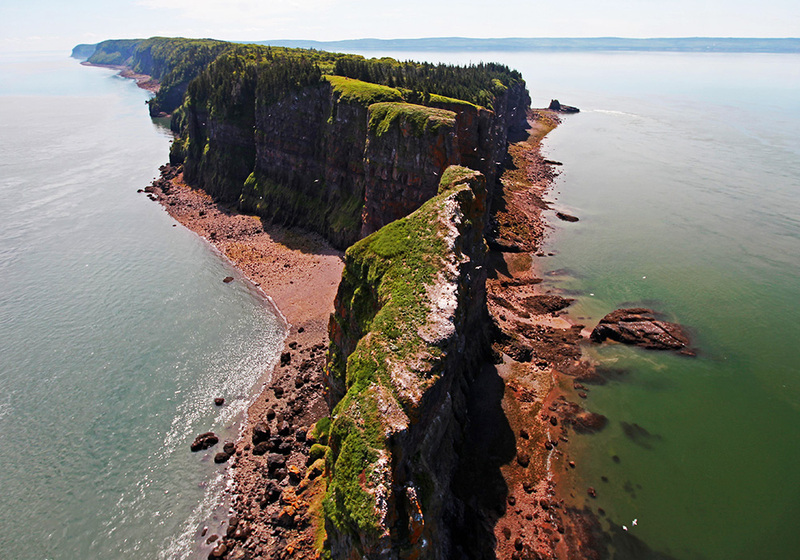 There’s nothing quite like the striking red cliffs of the Fundy Coast in Nova Scotia’s Annapolis Valley. Or the way the deep red sand stretches endlessly away from you at low tide. The region is known as much for its spectacular views, high tides, and legendary hiking, as it is its vast farmlands, bountiful harvest, and award-winning vineyards. 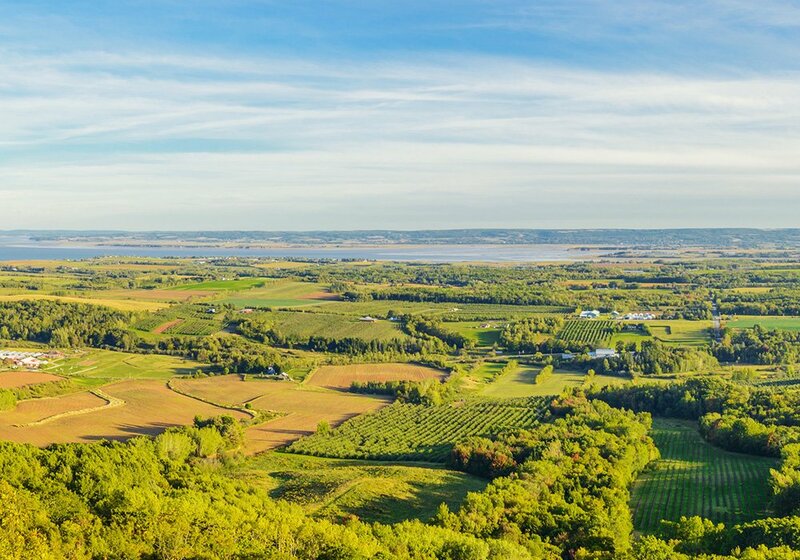 An important farming centre, the Annapolis Valley is also the culinary core of the province, surrounded by wineries, farms, restaurants, and pubs, all in a beautiful, historic setting. Great Soil. Great Climate. Even Better Food and Wine. Foodies flock here for the abundance of fresh produce—strawberries, blueberries and apples—farmers markets, U-Picks, and delicious local cuisine. And as Canada’s up-and-coming wine destination, wine aficionados answer the call of 11 established wineries to sample the region’s unique varietals such as L’Acadie Blanc, Nova Scotia’s signature grape. 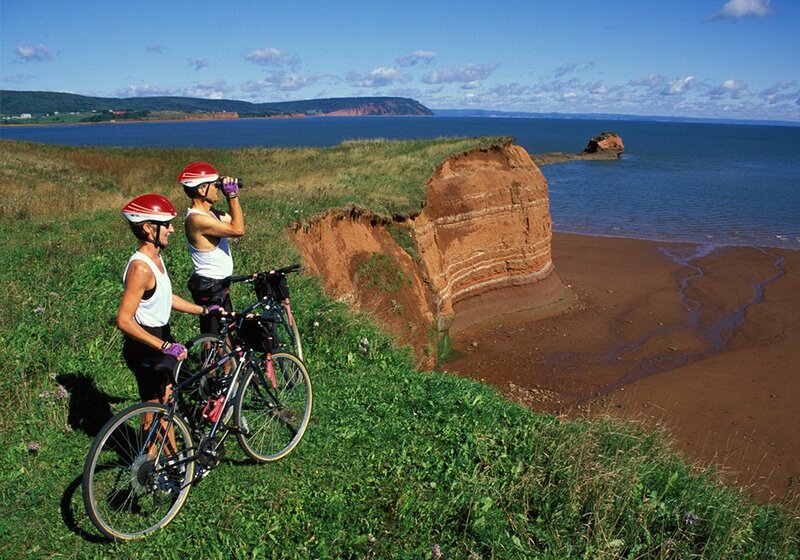 The Annapolis Valley is also home to some pretty outstanding attractions. Such as Grand-Pré, a national historic site commemorating the story of a 17th century Acadian settlement; Port Royal National Historic Site, a replica of Samuel de Champlain’s 1605 fur-trading habitation, and one of the first European settlements in North America; and Fort Anne National Historic Site in beautiful Annapolis Royal. Like a little adventure with your history? Upper Clements Theme and Adventure Park has plenty of rides and attractions to get your heart rate going, and the Oaklawn Farm Zoo boasts the largest display of big cats and primates in eastern Canada.